Traceable patterns, plans, and more for N, HO, OO, O and other scale structures. If you have an event you'd like to inform our viewers about Click Here to send us the details. A hobby is defined as “an activity done regularly in one's leisure time for pleasure.” From dancing to painting to 3D printing, there is something out there for everyone. 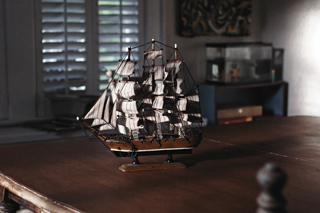 One such hobby that has been in practice for decades is scale modelmaking. Whether you want build a bridge, a residential structure, trackside structures, or something else, the possibilities are truly endless. For those who are in search of a new hobby for the New Year, modelmaking delivers a list of exceptional benefits that extend beyond the immediate fun it provides. Studies have found that creativity of all kinds, including drawing and art, singing, and modelmaking, can actually improve your health and wellbeing. In fact, creativity has been linked to decreased stress levels, reduced anxiety, enhanced self-confidence, and personal growth. While many individuals may not immediately consider modelmaking to be a “creative” habit, there is absolutely an art to creating the many kinds of structures available. Rather than simply putting together a building and leaving it be, many hobby modelmakers develop miniature cities and scenes around their models. Hobbies aren’t just for leisure and entertainment. In fact, researchers have found that individuals who have one (or more) hobbies reap specific benefits as a result. One particular benefit that you can expect to see as you take on modelmaking as a hobby is decreased stress levels. Why are hobbies so effective in reducing stress experienced? 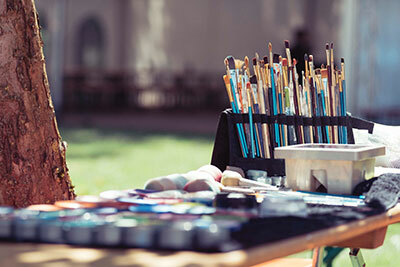 They provide a break from work and daily stressors, create feelings of accomplishment, and can help build social connections with those who share hobbies. Above and beyond other hobbies that one can choose, experts tout the mental health benefits of scale modelmaking. One study published by AARP shows that this specific activity “enhances certain cognitive skills such as concentration, visual-motor skills, and executive functions [processes the brain uses to plan, organize, strategize, and pay attention to and remember details].” At any age, keeping the brain active on a regular basis is crucial. Those who engage their brain often can improve their memory, enhance concentration and focus, quickly grasp new ideas and concepts, and decrease the risk of developing chronic conditions such as Alzheimer’s disease. Start 2019 off by taking advantage of all of the benefits of scale modelmaking. In addition to the reward and fun it provides, this single activity can enhance your health, wellbeing, and overall quality of life. Cross merchandising is a marketing practice that groups often unrelated products together in order to increase sales or exposure for both products. An example would be a gas station advertising a free bottle of Brand X pop with every fill up of Brand Z gas. Brand X and Z may or may not be related, but each can help increase the exposure of the other. I have always been a proponent of borrowing tips, techniques, and ideas from one area of interest and employing them in another, particularly in model building. Years ago, I learned a trick in a cabinetmaking class of rolling a sheet of sandpaper back and forth over the edge of a table in order to extend its useable life. When I demonstrated this trick to an auto restoration workshop, many seasoned autobody people were amazed. In my own auto restoration experience it has saved me hundreds of dollars in sandpaper. The notion of learning trade secrets, and tips and tricks, from outside my own circle has prompted me to join online forums in a variety of craft and hobby related areas, because you never know where that next model building trick will come from. The following article on Organizing a Scale Model Painting Party presents a refreshing reinvention of a tried and true concept, and is directly applicable to our craft as model railroaders, and as soon as someone hosts a Weathering Techniques party – I’m in! Every year is filled with ample cause for celebration including birthdays, anniversaries housewarmings, and graduations. If you are a scale model enthusiast, however, you don’t have to wait until it is someone’s birthday before you can throw a shindig. Paint parties, also affectionately known as ‘Paint & Sips,’ are fast gaining popularity among creatives who like to combine arts and crafts with social interaction. Whether you want to throw a scale model painting party as part of a special celebration, or simply to get like-minded people together to enjoy a night of creative interaction is entirely up to you. Organizing a painting party can be great fun, especially if you follow a few simple guidelines that will make the entire planning process significantly easier. As with all social gatherings, the venue for your party is extremely important. The number of people you want to include will dictate the size of the venue, but ideally, you need a large area with plenty of table space. Typical scale models require quite a lot of detail when painting, making good lighting an absolute necessity. If there is not sufficient overhead light in the venue you will perhaps have to consider placing individual desk lamps on every table. Decide what food and drinks will be served and also whether it will be offered during an intermission or at the end of the night. Although your activities for the party will revolve around painting, nothing prevents you from choosing a fun theme and decorating your venue accordingly. Food has always played an important role in social gatherings as it not only satisfies the hunger of your guests but strengthens the bond between them too. For your model painting party, pick foods that are not only light but easy to eat as well. Ideally, you want to steer clear of anything that requires cutlery or that will leave your fingers oily. A variety of gourmet sandwiches, fruit & vegetable skewers, pita wedges served with hummus, bite-size scones, fruit tartlets, and cheese and biscuits all make for good choices. While you want your guests to enjoy themselves you do not want anyone getting drunk and disorderly. Offer a variety of drinks including water, fruit juice, a selection of wines and even a few beers. You can also set up a tea and coffee station as you will undoubtedly have a few die-hard warm beverage drinkers among your guests. What would a party be without some light-hearted social interaction? Although the main purpose of your get together is to paint beautiful scale models, you do want your attendees to have fun as well. Extend a warm welcome to your guests and briefly explain the proceedings to them. If most of your guests have never met before, try to start the party with a fun ice breaker that will set the mood for the duration of the event. Consider having a break half-way through the painting part of the party to give guests a chance to stretch their legs, run to the bathroom, and interact with one another. If you haven’t yet done so, put hosting a paint party on your to-do list for the year. A scale model painting party will not only be great fun but will also enable individuals with a shared interest to socialize while exchanging ideas and discussing techniques. 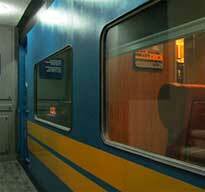 Time Travel - Three Train rides that will take you back in time! Fort Steele was one of several gold rush towns in the early history of British Columbia. Originally the settlement was called Galbraith's Ferry after the ferry service that was established to cross the Kootenay River. The town was later named Fort Steele after the Northwest Mounted Police Superintendent Samuel Steele. 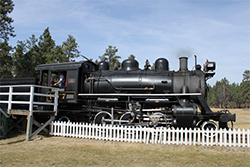 Beginning around 1899 Fort Steele began to suffer the fate of other gold rush towns, as the Canadian Pacific Railway route favored the nearby town of Cranbrook. In 1961 Fort Steele was declared an historic park. 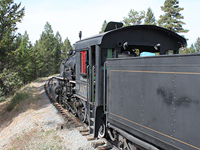 The Friends of Fort Steele Society have worked hard to preserve and restore over 60 buildings, to create a fascinating tourist destination, which can include a ride on an early 1900's steam train. Check out the first of our Fort Steele Structures. Train Trip Takes Turn for the Worse! Who would have expected the little town of Port Alberni BC to have such a high crime rate! 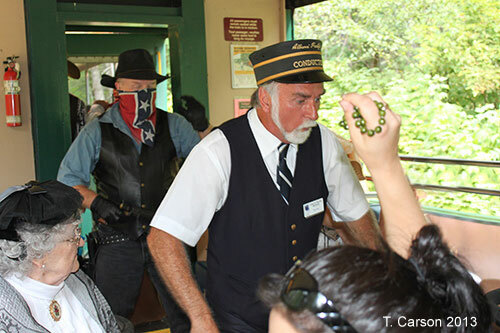 What started out as a pleasant ride on a vintage steam train ended up with the notorious "Beaufort Gang" coming out of the forest on horseback to hold up the train. The Maharajas' Express train in India is one of the most luxurious trains in the world. The train is created and operated by Indian Railways and Tourism Corporation (IRCTC), and gives passengers a choice of five itineraries, each one visiting examples of some of Indias most prominent tourist attractions, such as the legendary Taj Mahal. If you have ever dreamed of being treated like a Prince, this might be your chance. Measured for Immortality - A race against time! If we can't save the building at least we can preserve it in scale. We are losing many historic buildings to development. Sometimes I get there in time, sometimes I don't. This time I did. The CNoR 3rd class depot appeared in many locations across Canada and parts of the United States. 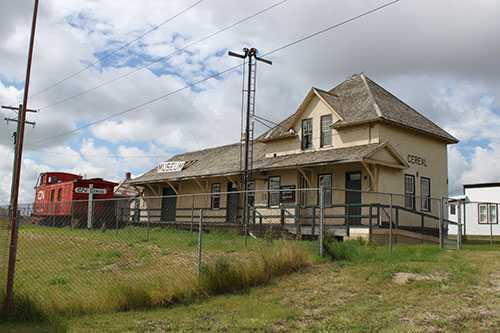 One of the survivors is being turned into a museum in this prairie town that gets it's name from the crops that were produced in the area. Interested in Z, S, or T Scales? Our plans are available in N, HO, OO, O, and G scale, but all is not lost if you model in another scale. If you are modeling in cardstock it may just be a matter of print-reducing. If you are scractch building and don't want to do the math, just choose the next larger scale and print reduce our traceable templates. Someone more obsessed with trains than I am? If you haven't seen this one yet, you need to! Jason Shron from Rapido Trains Inc. likes trains so much he built one is his basement... a REAL one! 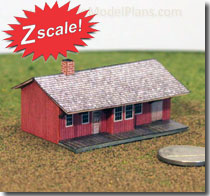 Scale model plans for HO Scale , N Scale, OO Scale, and O Scale model railroad buildings and structures. Create realistic, inexpensive scale model buildings for your model railroad layout, diorama, or toy train set. Build to accurate scale with Computer Aided Design miniature plans or simply cut out the traceable templates. As an added feature, you can print out color patterns to card stock to create paper models of buildings and structures. If 'kit-bashing' is more your style, try customizing, or combining patterns to create a unique scale model structure. 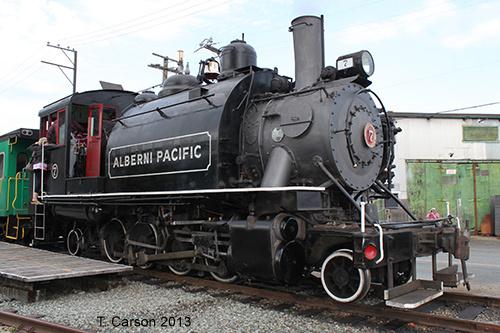 View our on-line catalog of HO and N scale plans to get started on your next building in scale project. Beginners Welcome!